Welcome Beyond competitors! In case you missed it, we've recently made some major updates to our community and tournament platforms. In addition to a new coat of paint, we've also introduced new features to help streamline tournament registration for our regular players. Below is a brief breakdown on how to sign up and participate in our free-to-enter competitions. Beyond promotes all of our events on a month-to-month basis. To keep up to date with signups and tournament announcements, join our community Discord server and follow us on Twitter for the latest news and info. You can also browse all of our current offerings straight from the tournament landing page. After locating your tournament of choice, simply select "Join the Tournament" to begin creating a team! Joining the tournament will lead you to a team creation page, where you may select an appropriate team name, choose your gaming platform (for cross-platform tournaments), and invite teammates to complete your roster. 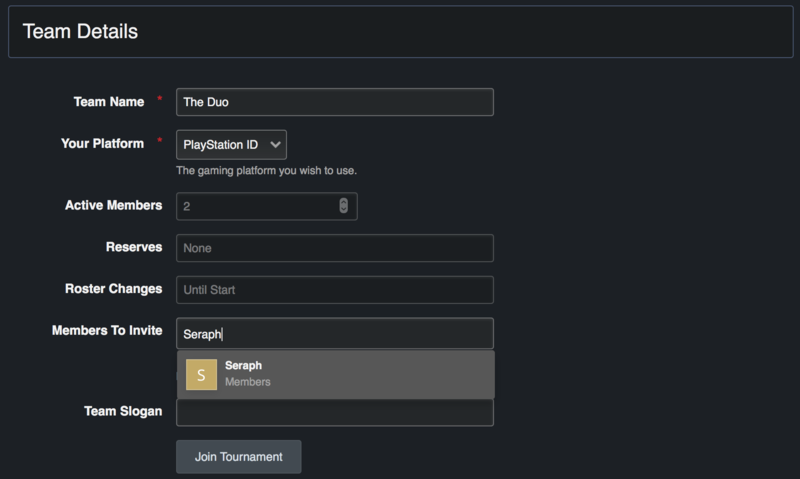 In order to invite a teammate, they must have a registered account on the tournament site. After completing this form, you are almost ready to secure your spot in the bracket! 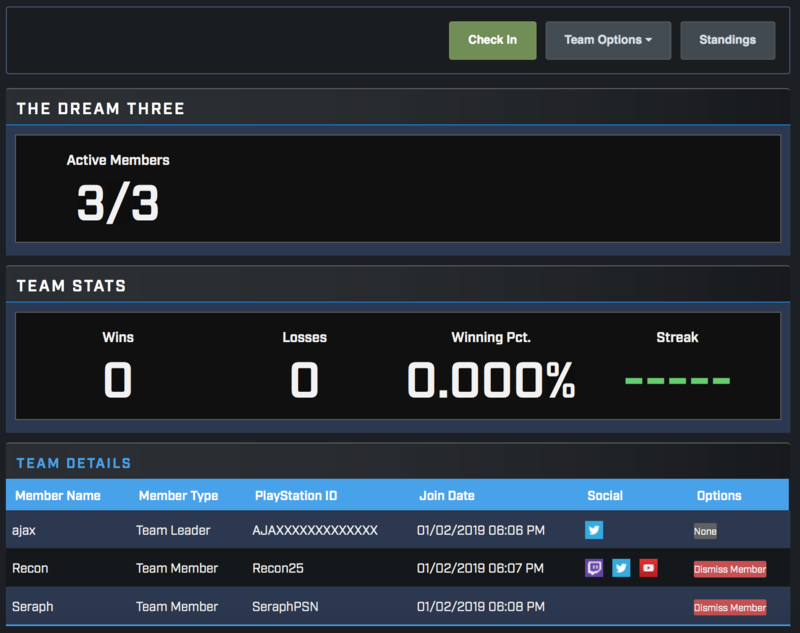 If your teammates do not have an account at the time you join the tournament, or if you must remove/add new team members at a later time, you can locate your team page from your profile to edit your roster and invite additional teammates. Your teammates will receive notifications for any invites that are sent their way. Below is an example of a completed 3v3 team roster. All players have accepted invites and updated their PSN ID contact info. Once you have a completed roster, your team captain must click the Check In button, and you will be set to compete at the designated bracket start time! REMINDER: Check-In closes 15 minutes before each scheduled bracket start. If the tournament begins at 7pm EST, you have until 6:45pm EST to finalize your roster and check in to the bracket. After registering and checking in your team, make sure to read over the tournament rules and details to fully understand match schedules, tournament procedures, and specific rules per each competition. With this, you should now be up to speed with our new registration system! Make sure to check in for each new tournament in 2019—good luck, have fun!